What just happened? Earlier this week we reported on rumors that AMD was planning to release new RX 30x0 GPUs based on their upcoming Navi architecture. The alleged details indicate performance levels and price points that sound too good to be true, and in our opinion simply fail the common sense test. In this column we'll through them and give our perspective on the matter. With much of the attention centered around Nvidia's RTX series, tech enthusiasts were sent into a bit of a whirlwind when hints of competitive Radeon GPUs hit the headlines. All this information first appeared in an AdoredTV video, who has leaked a few things in the past. The Navi-related GPU rumors are probably the best point to start. The basics are: AMD is allegedly planning to release Navi-based RX 3080, RX 3070 and RX 3060 cards. The RX 3080 will be about 15% faster than Vega 64 at 150W, allowing it to compete with the RTX 2070, and it’ll be priced at $250. The RX 3070 will be around Vega 56 performance for $200, and the RX 3060 will be a 75W GPU at $130 competing with the GTX 1060. Now at first glance, this sounds amazing. A $250 GPU from AMD competing with a $500 GPU from Nvidia. That sounds... well, it sounds unrealistic. Starting with pricing, companies do not finalize price of their products this far ahead of launch. Even if we’re talking about a full unveil at CES, that show is roughly a month away. It’s quite common for us to receive a GPU or CPU under NDA maybe a week in advance, and it will only be a few days before launch that pricing is finalized. People in the industry have mentioned to us that typically pricing is decided about a week before launch. While these sorts of products are designed around rough price targets – for example, mid-range, high-end, enterprise – the products are often finalized without an exact price point. The company would then figure out how much the product will cost to make based on yields and potential binning, factor in a margin, and only then decide on a price near launch after also factoring in current market conditions. So while it’s not out of the question to have rough specifications finalized well before launch, pricing and even final clock speeds often aren’t decided until much closer to the actual release. Then for these GPUs, the pricing simply does not make sense from a number of angles. AMD may want to undercut Nvidia with their next generation of GPUs, that would make sense and they’ve done it in the past. But no sane company would choose to create a product and sell it for half the price of their only other competitor. So in our opinion it’s ridiculous to suggest AMD will release a Navi GPU at $250 that delivers performance equivalent to Nvidia’s $500 RTX 2070. It makes zero business sense and no executive at AMD would ever sign off on that. If a company wanted to undercut its competitor you’d maybe be looking at a 20% lower price at best, so that would mean AMD coming in with an RTX 2070 equivalent for around $400. That would be more reasonable. But AMD isn’t going to sacrifice juicy margins just for the sake of “destroying” Nvidia. They’re a business, they want to make money, so they’re going to price their products with current market conditions in mind. But that’s not the only thing that makes no sense. AMD literally just released the Radeon RX 590 at $280. And now we have a leak suggesting they will announce a product in a month that is twice as fast, for a lower price? That is completely ludicrous. The only part of this leak that is more reasonable is the TDP and memory configuration, even perhaps the naming, though we cannot be sure any of it is true. AMD has publicly stated that 7nm is allowing the company to produce products that deliver the same performance at half the power consumption. So for the supposed RX 3070, 7nm should allow AMD to create a product that performs around the same level as the 210W Vega 56, at 120W. But pricing it at $200? I don’t think so. Then we have the 3rd generation Ryzen products. The leak talks about 10 separate products, ranging from the Ryzen 3 3300, up to the Ryzen 9 3850X. You’d think AMD might go with a naming scheme like that, so we’re off to a good start. Most of these CPUs sound like they are within the realms of possibility. Entry-level parts getting a bump to 6 cores and 12 threads. Ryzen 5 reportedly becomes 8 cores and 16 threads, Ryzen 7 goes up to 12 cores and 24 threads, then Ryzen 9 comes in offering 16 cores and 32 threads. These designs are suggested to use AMD’s 14nm I/O die in conjunction with one or two 7nm Zen 2 dies, which sounds reasonable going on what AMD has shown for their upcoming server products. But when you look a little closer, things don’t really line up. Take this one for example, the Ryzen 7 3700X. This is claimed to be a 12 core part with a 4.2 GHz base clock, 5.0 GHz boost, at 105W. But if we look back at 2nd-gen Ryzen, the Ryzen 7 2700X is also a 105W part, but only includes 8 cores, a base clock of 3.7 GHz and a max boost of 4.3 GHz. So the leak is essentially claiming that 3rd gen Ryzen is providing four extra cores PLUS an additional 500 MHz on the base clock, within the same 105W power envelope. So 50% more cores and a 14% higher base clock. 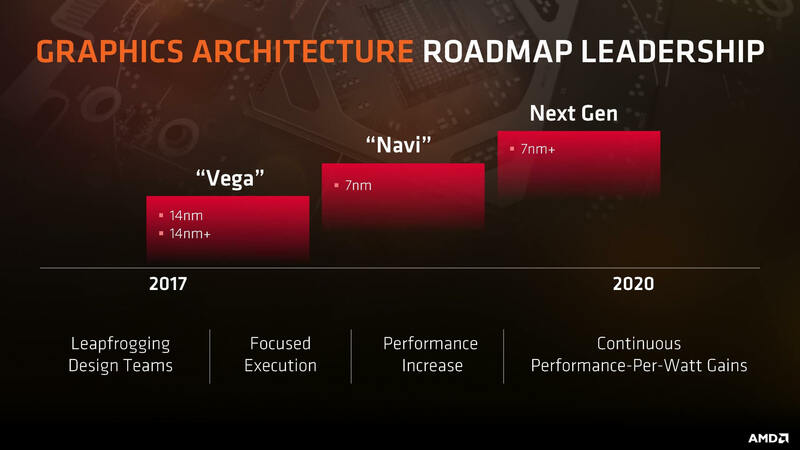 Now we have to remember what AMD said at their Zen 2 unveil, that 7nm is allowing them to achieve upwards of 1.25x the performance at the same power consumption. So does it sound realistic that AMD would be able to put in 50% more cores and clock them all 14% higher within the same TDP? The TDP has never been a great metric and AMD’s previous Ryzen line-ups have also had a few oddities, but I could list several more strange things about this line-up that just don’t sound right when measuring up the clock speeds and TDPs, and don’t align with what AMD has done in the past. Like how there’s a 4 GHz 8-core chip in this line-up at 95W, but then a 16-core chip at 4.3 GHz is only 135W. It doesn't seem to add up. On top of that, there’s one key element of this leak that makes the least sense... the unveil date at CES. With CEO Lisa Su taking the stage at CES to talk about 7nm products, many are now expecting AMD to do a big unveil of these products, but from what we are hearing that simply isn’t the case. And by “from what we’re hearing” I actually mean from what we are not hearing. Whenever AMD releases a new line of CPUs or GPUs they host a Tech Day, where all the enthusiast media gather to learn about these new products. It’s at these events we usually hear about the products in detail and then there are several NDA dates afterwards for announcements, reviews and so forth. This is the way AMD has been operating for the last few years. So far there is no planned Tech Day for AMD at CES. In fact, at last year’s CES AMD did host a Tech Day, it’s where they announced the Ryzen APU and a few new Ryzen Mobile SKUs. But we heard about that event as early as September, so nearly four months ahead of time, which is fairly typical for planning these sorts of trips, so if there was a Tech Day, we would have heard about it by now. AMD are planning a few smaller things at CES this year, there will be a press reception and meetings available, typical sort of stuff at these major events. But if there’s no Tech Day, you can take it to the bank that there won’t be a major unveil of a full product line-up. Now, it’s likely that Lisa Su will take the stage at CES and announce something considering they have this big keynote, but I’d only be expecting a product teaser at this stage. Here’s another example. At Computex 2018 AMD did not host a Tech Day, but they had a press conference. There, they announced 2nd gen Threadripper but only talked about a handful of specs – 12nm, up to 32 cores, and some ballpark specs. There were no official product names, no finalized specs and certainly no prices. I think that’s the sort of thing we can expect at CES, not some massive unveil of an entire line-up of CPUs and GPUs with pricing, specs and everything else. AMD has reiterated that the first 7nm Zen 2 products will be their 2nd generation Epyc CPUs, which haven’t been officially launched yet. So it’s unlikely that we’ll see a full 3rd gen Ryzen unveil until after the newest Epyc server chips are out the door. Rumors and leaks are certainly part of what makes following the tech industry so fun, but it's important to remember that much of the time, those leaks don't entirely pan out. In this case, there are key elements that fail the common sense test and don’t align with AMD’s previously stated claims.